LifeMart, one of the UFCW’s discount programs, is holding a sweepstakes exclusively for UFCW members this August. 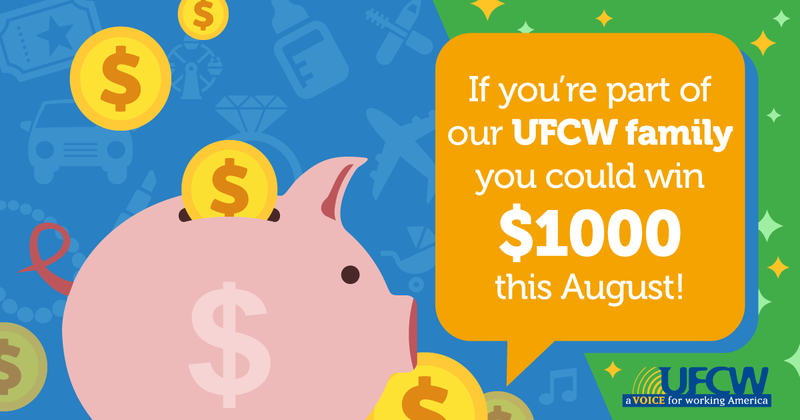 If you are a UFCW member, you can win a $1000 gift card just for registering for UFCW LifeMart discounts, or by signing into an existing account. Even if you don’t win, you’ll still have access to the amazing savings and discounts your UFCW membership gives you access to, including important life costs like education, child care, your cell phone bill and foreign language classes, as well as cosmetics, concert tickets, jewelry and movie tickets.